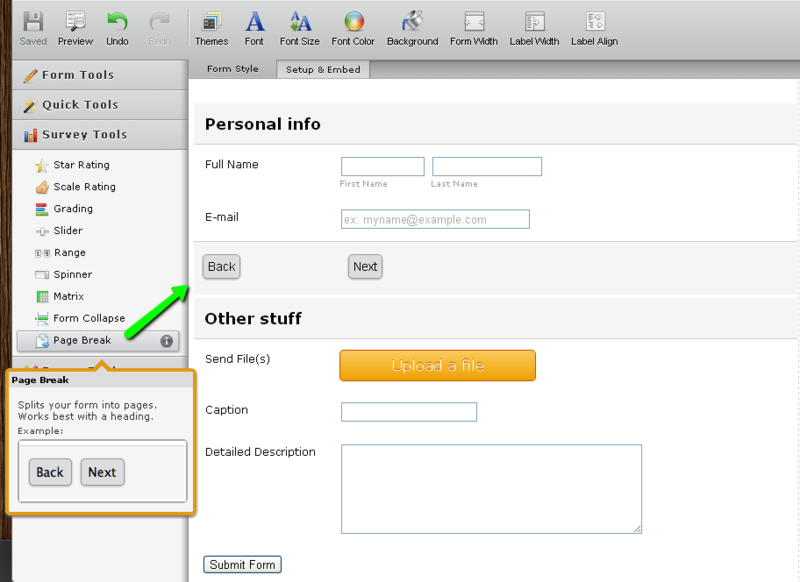 How do you add a next button to forms ? If you mean you want a multipage form with "Previous" and "Next" buttons, start building the form and when you reach the stage where they're too many fields for one page, insert a Page Break from the Survey Tools menu and continue to add the fields you want. Repeat the process until you have reached the end of the form. When you preview the form or view it at its URL, you'll see that it has a "Next" button on each page except the last one and conversely, a "Previous" button on each page but the first. Hopefully, I have understood your question.